How Did Popcorn Become Popular? Popcorn is often considered to be a relatively modern snack that is usually consumed while watching television or a movie, but popcorn has been around much longer than the local multiplex. Humans have been eating popcorn possibly since before corn was even domesticated. Although popcorn can simply develop from a dried corn seed being heated, culture and taste has played an important role in how it has become a popular snack present in many regions today. How did popcorn become one of the most widely consumed snack foods? Corn was domesticated more than 9,000 years ago in the New World, most likely in Mexico. Some researchers have suggested popcorn was made even before corn was domesticated, as wild varieties of corn can also be used to create popcorn. Pollen evidence of corn in Mexico suggest that popcorn could go back to more than 15,000 years ago. At about 5500-5600 years ago, evidence from Mexico becomes more evident that popcorn may have been made, where burnt remains have been found. Figure 1. 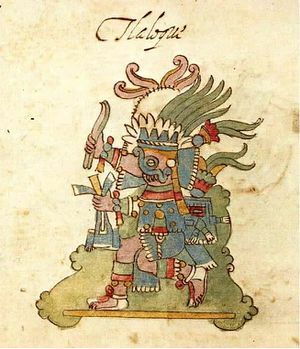 The god Tlaloc was depicted with a headdress of popcorn. As corn spread in its use throughout the New World prior to the arrival of Columbus, many cultures that adopted corn began to also make popcorn. This was often, though not always, done by taking a long stick, attaching the corn, and then letting the ear of corn pop its kernels over an open fire. The popcorn would then be captured, but the process may have been somewhat inefficient as likely kernels would be lost. Another way included using clay pots where the corn was placed and then the kernels popped inside the jar. In some exceptional preservation environments, intact popcorn older than 1,000 years has been found in Utah and Peru, where both regions are dry and can preserve archaeological remains. In addition to being important for food consumption, evidence exists popcorn was made for ritual reasons. A 1,700-year-old painted funeral urn found in Mexico depicts a corn god shown wearing a headdress made of popcorn. Popcorn was so widely used by native cultures in Mexico and other parts of the New World that Europeans first encountered it in their initial encounters with indigenous peoples in the West Indies and in Mexico. Both Cortes and Columbus encountered popcorn in their early encounters with native populations, where people ate and wore popcorn as part of headdresses, similar to how the corn god and other gods were at times shown (Figure 1). One story exists that popcorn was served in the first Thanksgiving, where early colonists learned about popcorn with the natives they shared a meal with. Popcorn was not only consumed by itself but it was often used in a type of soup and even made into a type of beer. Early American settlers utilized popcorn after learning about it from native populations; however, rather than a nighttime snack, it was often consumed as part of breakfast, where it would be added with milk or cream as a cereal. By the 18th and early 19th centuries, English speakers began referring to popcorn as "popped corn," where the term eventually shortened to popcorn. Figure 2. The Cretors' machine greatly facilitated the process of making popcorn and made it more popular. The presence of Cretors' machines in festivals and fairs soon began to associate popcorn with these events, which popcorn is still associated with today. 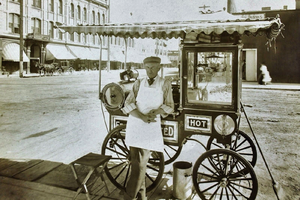 By 1900s, Cretors' popcorn machines began to use electricity rather than steam. This early use of electricity insured that the company and the brand was well positioned for the increased electrification that occurred for household and larger consumer suppliers during the first few decades of the 20th century. Such developments now also made popcorn machines become more typical household items. Interestingly, the Great Depression had little effect for popcorn makers. During this time, popcorn was so cheap to make that it became a common food for consumption, enabling many suppliers to thrive in very difficult economic circumstances. It also meant that popcorn became more popular, as the low prices helped to spread its consumption outside of just carnivals or fairs but to also more daily consumption. One such business was the Redenbacher family, where the family was able to support itself during difficult economic circumstances by selling popcorn. This family today is still associated with a popular popcorn brand. Interestingly, it was also during the Depression in the 1930s that popcorn became associated with eating during watching a film. Theaters began to experiment by putting popcorn machines in the lobby and selling it to moviegoers. This proved so immensely successful that it began to spread to other theaters rapidly across the US. In fact, many theater owners thought it would be distracting to sell popcorn, as it can be noisy to eat, but the success of popcorn sales soon changed their minds. During World War II, sugar rationing meant that candy was not as widely available. With decreasing candy consumption in theaters and other venues, this opened the way for popcorn now to become the number one movie snack as well as the most popular snack in venues such as fairs. These changing tastes solidified popcorn's place in snakes. The basic concept of popcorn has not shifted much, although variations of the basic popcorn have been around for sometime. Caramel popcorn, among the most popular variations of the salted or plain type popcorn, has been around since the Chicago World's Fair in 1893. In some countries, sweet popcorn became increasingly popular, rather than the salty variety, such as in parts of Europe and the UK. Many changes to popcorn have focused on technology changes to making popcorn. For instance, in 1978 the Presto company introduced what would become a popular air popper. This was introduced as a healthier way to make popcorn as it did not require oil to make. The association of air popper popcorn with health have not gone unnoticed by the health food industry, where such popcorn is advertised as one of the health snacks to consume in trying to lose weight. Microwave popcorn has been around since the 1940s, but only since the 1970s and 1980s, in particular, it was more widely commercialized as microwaves became popular. Packing of popcorn also improved with new chemicals, allowing microwaved popcorn to be increasingly exported by the United States. For some, however, the fact that microwaved popcorn generally has more fat, sometimes taking up to 60% of the calories in this type of popcorn, made it less attractive. Various artificial flavoring and coating chemicals used also make it potentially damaging to the environment and could have long-term health implications. More recently, markets and packing has focused on creating popcorn products that mimic moviegoer experience popcorn. Brands have also attempted to cleanup wasteful production involved in popcorn packaging. 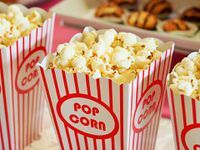 New products apply brightly painted boxes or other iconography, although with applying a lot of butter or butter substitutes, to the popcorn to create a so-called movie-going taste that people often associate with popcorn. Popcorn has become one of the best known snack foods. Its history, however, has shown that it has been associated with many things. These associations include its use in religious ceremonies, consumption as a breakfast food, use in soup, and even made into a type of beer. The modern popularity of popcorn was sparked by a few key events. The first was the development of an automated popcorn maker in the 1880s. The second was that it was cheap, making it popular during difficult economic circumstances. Finally, its association with events, such as watching movies and, initially, carnivals, fairs, and outdoor events solidified its position as a leading snack. The introduction of household appliances that make popcorn also helped to spread its use beyond public events. Today's popcorn comes in many varieties and is made using many different methods, ranging from roasting on the stove, to air popping machines, and microwave popcorn being among the most common. How Did Ancient Societies Adapt to Dairy Consumption? How Did Honey Evolve in our Diet? How Did Chocolate Become Popular? ↑ For more on the earliest finds of popcorn, see: Elton, B. (2003). Popcorn. London: Black Swan. ↑ For more on the variety of uses for popcorn in its early history, see: Podojil, J. (2013). Popcorn Favorites: Everything you want to know about Popcorn and More. Bloomington, IN: Trafford On Demand Pub., pg. 16. ↑ For more on the early history of popcorn consumption by European settlers and Americans, see: Smith, A. F. (Ed.). (2013). Food and Drink in American History: A “full course” encyclopedia. Santa Barbara: ABC-CLIO. ↑ For more on Cretors' early machine, see: Fussell, B. H. (2004). The Story of Corn. University of New Mexico Press pbk. ed. Albuquerque: University of New Mexico Press, pg. 12. ↑ For more on the development of popcorn machines and growing popularity, see: Nielsen, L. M. (2007). The Biography of Corn. New York, NY: Crabtree Pub. 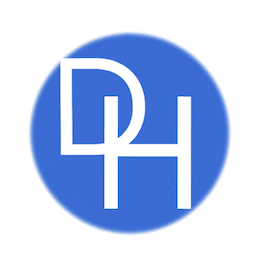 Co., pg. 23. ↑ For more on popcorn varieties, see: Podojil, J. (2013). Popcorn favorites: everything you want to know about popcorn and more. Bloomington, IN: Trafford On Demand Pub. ↑ For more on recent technologies associated with popcorn, see: Smith 2013: 686.